PAPAGO! X5 is a GPS software. With the PAPAGO! X5 you can transform your device into a professional navigation system. How to Install PAPAGO X5 (Cracked) on Any Android Phones ? This is the Malaysia Map. So, if you not Malaysian, please download the Map from here or other site. 2. Extract the downloaded file. 4. Extract libpapago and copy libpapago.so to the NaviSEA folder. 5. Copy NaviSEA folder to USB Storage. 7. Install PAPAGO_X5SEA_0806_WWEMarket.apk and Enjoy. part 4 was broken..can u reupload. can use for galaxy wonder?? knpa smsungw sy xbleh open map ?? Do u have sygic gps (cracked) for samsung wonder? I already put the navisea on sdcard but why cant load the map? i think it's not compitable with s3..
try papago m9 on galaxy s3..
where i can find indonesia map? can i use that maps for indonesia? i dont know if that maps for papago x5. im sorry but i cant any indonesia maps anywhere for papago x5. but let me know if that map works for you. cannot open it...unsupported resolution: 480x800...why? ?help me please..
x5 support 480x800 res. because my phone is 480x800 res. make sure you put NaviSEA folder in internal_sd . if it's still not working, try to reinstall it. For samsung s3.... unsupported resolution at 640X 1138.
i have install it..but it appear cannot load map..how to install it? can upload the apk file into jumbofiles, or hulkshare, or zippyshare. there is no file in these ufile.eu ..
which is better? papago x5 or papago m9? For me, m9 is better. Now, AES Detector is also available for Malaysia Map only in M9. 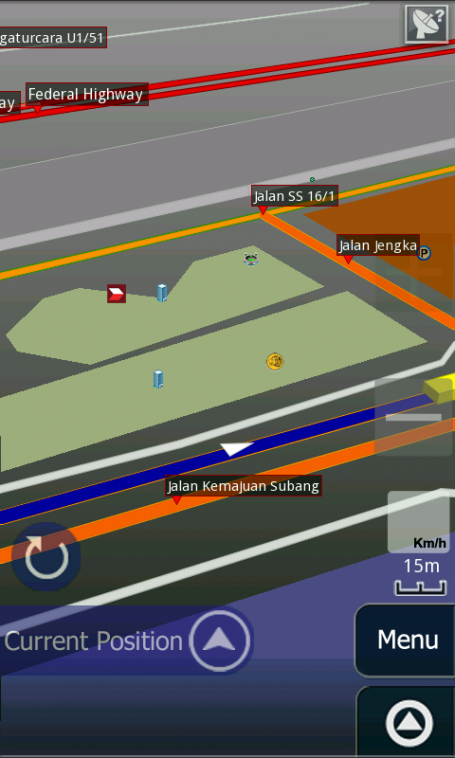 Malaysia map also regularly update for m9. So, m9 is better than x5. i cant found any link in the part1 part2 part3 part4 and part5??? Im not really sure if x5 will works on Note. can i use for galaxy nexus and what its resolution?? After installed, do i still need to enter the registration code? How can I get Indian map? now the papago x5 still can be used? doesn't it already replaced by M9? install on android 4.2.2..sucessfull..tq sir.. I m using S Galaxy V, Android 4.4.2 (kit Kat) - can this unit work for Papago X5?...Urgent!...Thanks.